Nevertheless, current senior U.S. defense leaders should look to wargaming’s best practices – particularly German, Japanese, and American games between the First and Second World Wars – to shed light on an uncertain future featuring evolving adversaries, emerging concepts, and untested capabilities. During the period between the First and Second World Wars, wargaming anchored the curricula of professional military education (PME) institutions, allowed commanders and staffs to rehearse and adjust plans for major campaigns, provided a venue for alternate and enemy perspectives, and informed the development of new concepts and capabilities that fed a “cycle of research” to support innovation.4 Today’s U.S. joint force would be wise to apply the best traits of gaming from the interwar-period of the early twentieth century, when wargames blended effectively with the military cultures of Germany, Japan, and the United States to yield insights that affected how they fought during the Second World War. 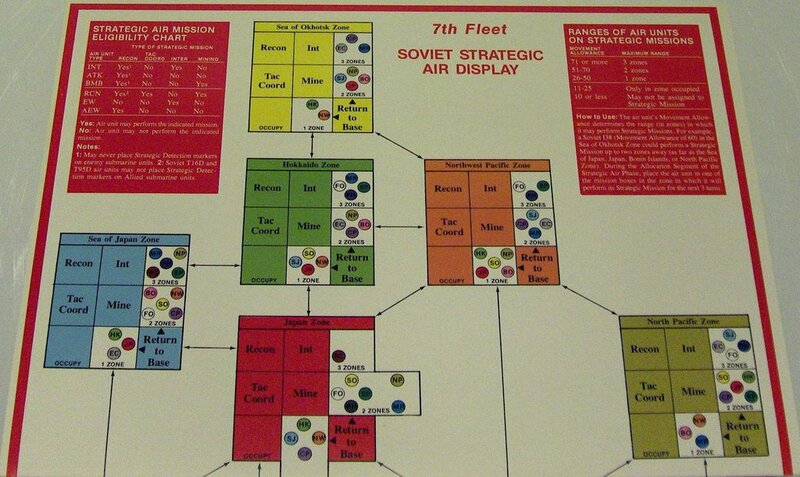 Military cultures that used wargames reaped their benefits. From the moment the Treaty of Versailles ended the Great War and set the conditions for its successor, senior leaders sought an edge for another global conflict that many observers considered likely.5 In Germany, wargaming expanded its role in the Wehrmacht’s cultural landscape. Officers learned the value of wargames at the famed Kriegsakademie, then applied gaming techniques to develop operational options and explore potential adversary actions during planning for campaigns such as the 1940 invasion of France and the Low Countries. German officers also used wargames to evolve air doctrine and inform aircraft manufacturing decisions that would have serious implications for the Luftwaffe’s strategic-bombing capabilities in the European theater. In Japan, Admiral Isoroku Yamamoto employed wargames to study the sequencing of his complex Pacific campaign, examine the likely reactions of American and British forces, and allow his subordinate commanders and their staffs to rehearse and adjust plans for major campaigns such as the 1941 attack on Pearl Harbor and the strike against the American stronghold on Midway Island. In the United States, American naval officers played hundreds of wargames at the Naval War College in Newport, Rhode Island. 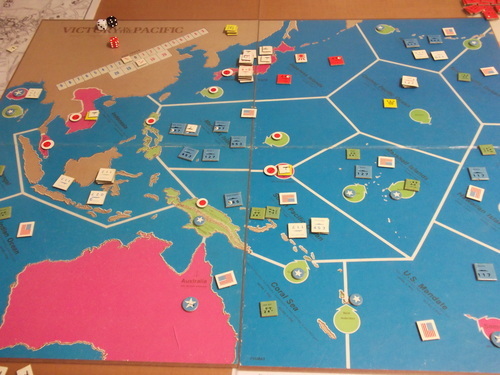 These games allowed generations of future naval leaders to develop a shared mental model about the strategic and operational framework of the approaching conflict against Japan and provided a venue to test new concepts such as carrier aviation.6 (See Appendix A for information about wargaming and shared mental models). Between 1919 and 1941, German, Japanese, and American wargaming techniques explored new ways of fighting, informed campaign planning, and gave officers decision-making and planning practice before war erupted. 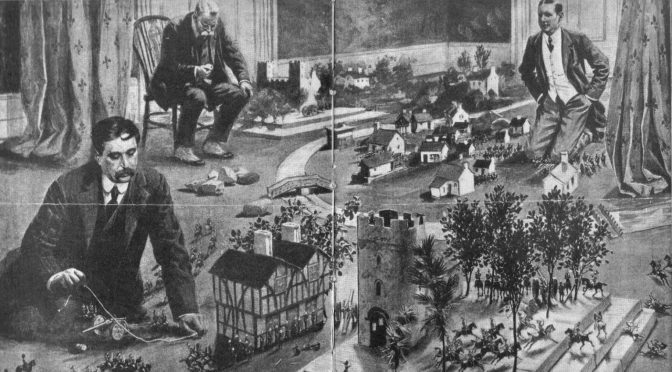 This series of articles will examine interwar-period gaming in three parts. 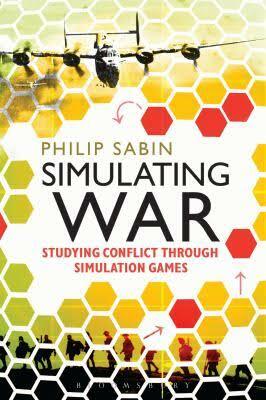 The first part defines wargaming, discusses its utility, and differentiates it from other military analytic tools. 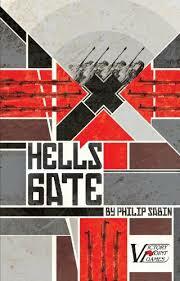 The second part details how the militaries of Germany, Japan, and the United States employed wargames to train and educate their officers, plan and execute major campaigns, and inform the development of new concepts and capabilities for the Second World War. The third part concludes by identifying best wargaming practices that can be applied to today’s U.S. defense establishment in order to prepare for future conflicts. Wargames are often confused with other problem-solving activities that do not involve the use of actual forces, including course of action (COA) wargaming, tabletop exercises (TTXs), tactical exercises without troops (TEWTs), and rehearsal-of-concept (ROC) drills. COA wargaming is a phase of American and British military planning processes in which options are systematically examined and refined based on enemy capabilities and limitations, potential actions and reactions, and characteristics of the operational environment. During COA wargames, a planning team refines existing options with the help of a so-called “red cell”11 that role-plays and represents the activities of potential adversaries and other factors that could threaten a mission.12 TTXs are scenario-based discussions involving senior officers and staff used to familiarize participants with plans, policies, procedures, and contingencies. TEWTs are commander-led exercises that use current doctrine to exercise subordinate leaders and staff responses against a given threat or scenario on the terrain in which they would fight. ROC drills are detailed rehearsals involving all commanders and staff for a given operation. Although TTXs, TEWTs, and ROC drills are scenario-driven exercises that test decision-making, they lack the “contest of wills,” which is an essential ingredient of wargaming. Game designers continually sidestep wargaming’s pitfalls to fulfill their promise. Wargames prove their military utility every time a commander embarks on a mental exercise to rehearse possible solutions to a problem, project an adversary’s response, and assess the decisions made by friend and foe. “It enables a commander and his staff to review assumptions, detect inadequate or untimely support, verify time and space factors, and reconcile divergent opinions,” writes Dr. Williamson Murray. 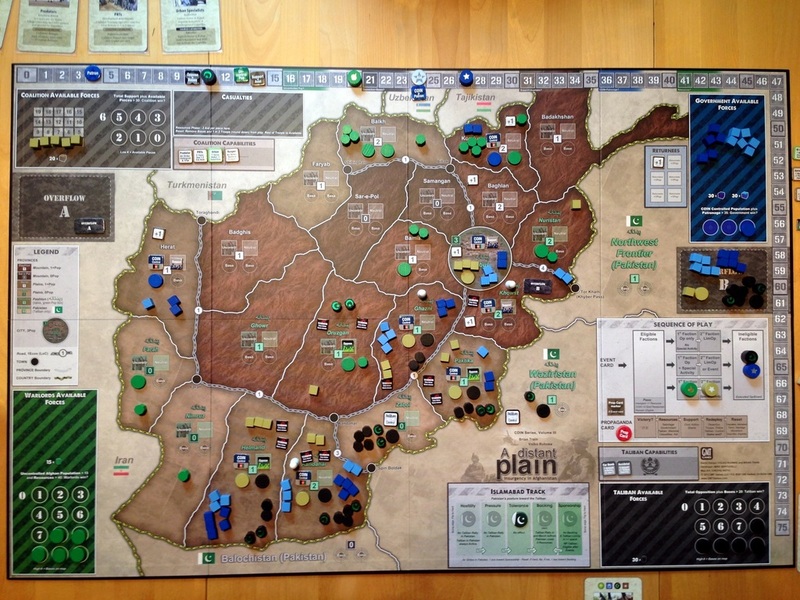 “The game provides a means of testing ideas, of coordinating services and branches, and of exploring and considering all possible contingencies prior to the drafting of the final operational plan.”15 Realistic wargames generate useful insights for subsequent study and live-force exercising when they involve commanders who are experts in the topics being examined, and feature accurate depictions of adversaries and the operational environment. Part two will discuss how the militaries of Germany, Japan, and the United States employed wargames to train and educate their officers, plan and execute major campaigns, and inform the development of new concepts and capabilities for the Second World War. 1. Robert O. Work and Paul Selva, “Revitalizing Wargaming is Necessary to be Prepared for Future Wars,” War on the Rocks, December 8, 2015 (accessed December 25, 2015). http://warontherocks.com/2015/12/revitalizing-wargaming-is-necessary-to-be-prepared-for-future-wars/. 2. Francis J. McHugh, Fundamentals of War Gaming (Newport, RI: U.S. Naval War College, 1961), 64. 3. Peter Perla (research scientist at the Center for Naval Analyses), interview with Jeff Wong, October 9, 2015. 4. Dr. Peter Perla is credited with first using the term “Cycle of Research” to describe how wargames, exercises, and operations research can mutually support military innovation. Contrast the cycle with the use of the same tools in isolation and independently. Peter Perla, The Art of Wargaming (Annapolis, MD: Naval Institute Press, 1990), 287. 5. Williamson Murray and Allan Reed Millett, A War to be Won: Fighting the Second World War (Cambridge, MA: Harvard University Press, 2000), 2. 6. Mental models are psychological representations of real, hypothetical, or imaginary situations. Princeton University, “Mental Models and Reasoning,” (Princeton, NJ: Princeton University, 2016), accessed February 11, 2016: http://mentalmodels.princeton.edu/about/what-are-mental-models/. 7. Older versions of Joint Publication (JP) 1, Doctrine for the Armed Forces of the United States, defined wargaming as “simulation, by whatever means, of a military operation involving two or more opposing forces, using rules, data, and procedures designed to depict an actual or assumed real-life situation.” Peter Pellegrino, “What is War Gaming?” Lecture at the Naval War College, published December 20, 2012 (accessed December 26, 2015): https://www.youtube.com/watch?v=maHpGR-Vj4Q. 8. U.S. Department of Defense, JP 1-02, Department of Defense Dictionary of Military and Associated Terms (Washington, DC: U.S. Department of Defense). 9. Perla, The Art of Wargaming, 164. 10. McHugh, Fundamentals of War Gaming, 2. 11. Red “cells” and red “teams” are frequently confused for each other. A red cell is an entity typically led by a staff intelligence officer tasked with representing enemy doctrine and its likely courses of action. A red team is tasked with challenging perceived norms and assumptions made by a commander and his staff in order to improve the validity and quality of a plan. 12. Headquarters, U.S. Marine Corps, MCDP 5-1, Marine Corps Planning Process (Washington, DC: U.S. Marine Corps, 2011), 1-5. 13. Peter Pellegrino, “What is a War Game?” lecture, U.S. Naval War College, published December 20, 2012 (accessed December 26, 2015). 15. Williamson Murray, “Red-Teaming: Its Contribution to Past Military Effectiveness,” DART Working Paper 02-2 (McLean, VA: Hicks and Associates, September 2002), 20-21. 16. Ed Offley, Turning the Tide: How a Small Band of Allied Sailors Defeated the U-boats and Won the Battle of the Atlantic (New York: Basic Books, 2012), 391-92. This week, we jumped on the Midrats podcast with Chris Kona and Paul Vebber to discuss the CNO Rapid Innovation Cell Fleet Battle School project – which is now available for those interested in the beta test. With CDR Salamander at the helm, we discuss the history, purpose, and mechanics of the project and the drive to make a mobile game that is fun, educational, and embodies/tests core naval warfighting concepts and capabilities. Tension between U.S. and Iranian military assets in the Arabian Gulf are nothing new. Confrontations between Iranian Revolutionary Guard Corps Navy (IRGCN), the Islamic Republic of Iran Navy (IRIN) and U.S. Navy vessels in the Gulf, the Strait of Hormuz, and the Gulf of Oman are a regular occurrence for forward-deployed ships. Iran knows it cannot match the U.S. in a conventional confrontation, and focuses on an asymmetrical style of warfare to increase damage and costs of confrontation to the U.S. In 2002, a joint war game exercise, known as Millennium Challenge 2002 (MC02), took place to gauge readiness in the event of a conflict with a hostile Middle Eastern nation. The results were disastrous for the U.S., with over a dozen ships destroyed and thousands killed or wounded as a result of asymmetric and unconventional naval warfare. 14 years later, Iranian asymmetrical warfare can still have a devastating effect on U.S. and allied forces in the Middle East. Unconventional warfare has been the Achilles Heel of the U.S. military for decades, and more gaming and training are needed to enhance U.S. capabilities in an asymmetric environment. Just a relaxing day sailing the Persian Gulf. Following their lackluster performance during Operation Praying Mantis, in which the U.S. Navy laid waste to several conventional naval vessels, Iran began to focus on asymmetrical warfare. Tactics include Fast Inshore Attack Craft (FIAC), covert civilian craft, naval mines, and submarines. The IRGCN utilizes swarming tactics as its method of choice. IRGCN bases are situated in various locations along Iran’s Gulf coast, from the Strait of Hormuz to the Northern Arabian Gulf. This is a key tenet in swarming attacks: packs of small attack craft covertly leave their bases at various times, all heading for the same target, i.e. a Carrier strike group operating in the Gulf. While this dispersed tactic may result in a weaker attack that is easier to repel, it is also much more difficult to detect, as the swarms don’t operate in a large formation. Also, craft equipped with torpedoes and anti-ship missiles can fire their payloads at a greater distance, ensuring survivability and destruction of their target. Iran currently has the fourth-largest inventory of naval mines, as well as various platforms for deployment. Mines are a successful tool in the Gulf: USS Tripoli and USS Princeton struck Iraqi mines in the Northern Gulf during the Gulf War, and USS Samuel B. Roberts struck an Iranian-laid mine during the Tanker Wars of the 1980s. Iranian mines also dispatched large numbers of civilian merchant vessels in the same time period. Iranian mines are largely cheap and unsophisticated. However, some Chinese and Russian variants, including the EM-52 multiple influence mine, are much more sophisticated and can be used in waters up to 600 feet – plenty deep to make the Central Gulf a dangerous place. A majority of bottom-dwelling mines are designed for shallower waters. In some places, depths in the Strait of Hormuz are between 150-300 feet and are prime locations for these types of mines. While the mines may not be sophisticated, deployment tactics are much harder to detect. IRGCN small craft are capable of laying mines, as are dhows, fishing boats and submarines. These platforms can carry up to 6 mines each and can be resupplied at sea. Mine laying platforms disguised as civilian craft would not raise suspicion on the part of Coalition forces while submarines can be quite difficult to detect by surface or air assets. Iran operates several different types of submarines, all of the diesel variety. The Kilo-class are Soviet surplus that are nearing the end of their service life, but still require respect, especially in an asymmetrical warfare environment. Kilos can carry several dozen mines, laying them covertly beneath the waves and avoiding the overt detection by surface assets that endanger the mission of mine laying dhows and small boats. Kilos would also require an increase in anti-submarine warfare (ASW) platforms in theater for sub identification and prosecution, such as submarines and air and surface assets. They would also increase the standoff distance of high-value assets such as carriers and troop landing ships. These platforms would most likely not venture too close to a known hostile submarine operating area with few defensive weapons. Iran’s mini-subs are another part of the undersea warfare threat worth considering. There are at least three separate classes of mini-sub in the Iranian inventory, all diesel operated. 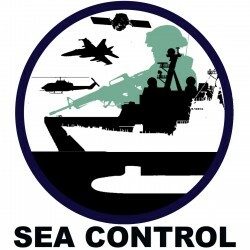 Their small size makes them difficult to detect, and their ability to operate in shallow waters makes them a perfect tool to target vessels in the littorals, such as amphibious assault ships and patrol craft, and any convoy of warships or shipping making its way through the Strait of Hormuz. They can also participate in mine laying operations in shallower seas as a support asset. 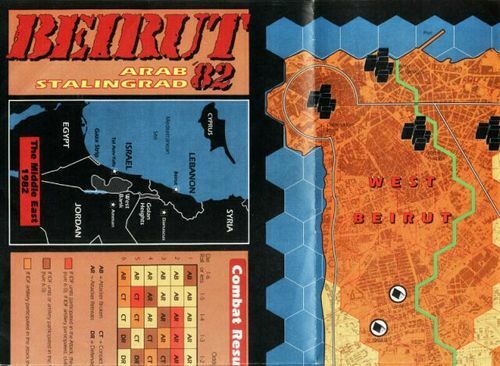 MC02 was framed as a Red vs. Blue game depicting the invasion of a smaller Middle Eastern nation by a much larger and more capable adversary. It was the largest war game ever devised; 13,000 troops, aircraft and warships spread throughout the world, at a cost of $250 million. While it looked much like the upcoming invasion of Iraq, the tactics employed by Red closely resembled the nonlinear and asymmetric tactics of the IRGCN. The Red forces, led by Marine Lieutenant General Paul van Riper, utilized several unorthodox measures and tactics to exploit the weaknesses of the Blue forces. When electronic warfare aircraft fried Red team communications sensors, van Riper used coded messages voiced from the minarets of Mosques at prayer times. 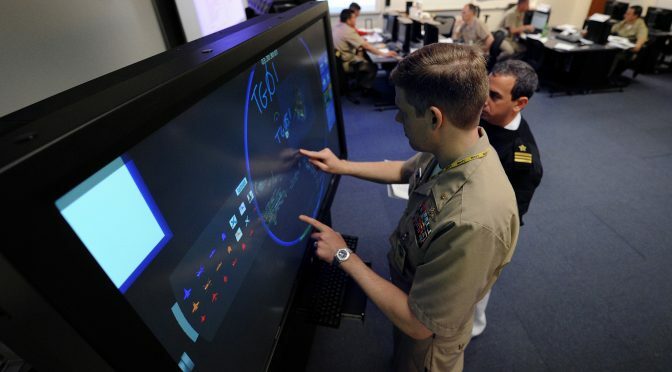 This signaled the armada of civilian boats and light aircraft underway in the Persian Gulf to take action, conducting swarm and suicide attacks on U.S. warships and firing Silkworm missiles at high-value assets, claiming two amphibious assault ships and an aircraft carrier. At the conclusion of the attacks, 16 ships were sunk and thousands of servicemen were dead or wounded. Instead of digesting the results and using them to refine tactics and strategies in the face of a nonlinear threat, MC02’s controllers simply reset the problem – ensuring a Blue victory and “gaming” the most expensive and important war game in modern history. Was anything learned from the surprise ending of MC02? It appears not. Iran’s tactics are nothing new; they have been using asymmetric warfare since the Iran-Iraq war. 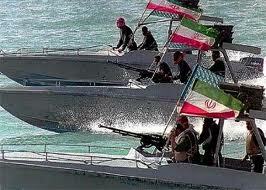 Iran’s weak Navy isn’t a new development either; most ships are decades old with few modern capabilities. What Iran does have, however, is a military strategy with a basis in unconventional warfare. Asymmetric tactics, like those described above, coupled with a decentralized command and control structure and semi-autonomous unit commanders make Iran survivable in the event of a first strike. Unfortunately, the U.S. thinks of nations with weak conventional militaries as no match for the technological and modern behemoth that is the U.S. military. This was evident in Iraq and Afghanistan, where insurgents with little resources utilized out-of-the box thinking and nonlinear tactics to inflict heavy damage on U.S. forces, culminating in eventual retreats. U.S. strategy rests on technological and conventional dominance as well as engaging in non-traditional conflicts using traditional strategy and doctrine. 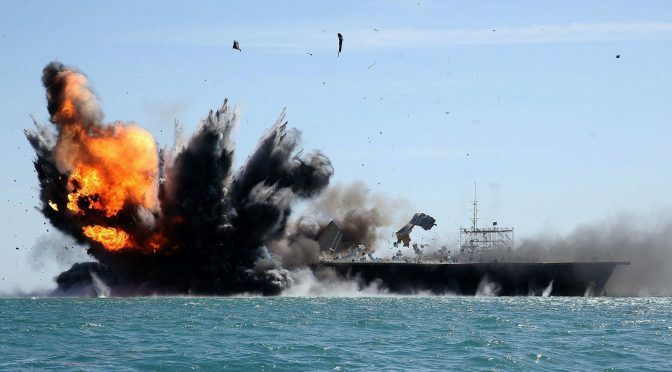 While Iran’s bluster regarding its eventual destruction of the U.S. fleet shouldn’t be entertained, the threat posed by Iran should be. Nonlinear and suicide attacks from the sea, increasingly capable long-range anti-ship missiles able to reach any vessel in the Gulf, and unconventional communications and command tactics are nothing to brush off. More exercises like MC02 are needed to adequately gauge the readiness of the U.S.’s land, sea and air forces to any asymmetric conflict with Iran. Where there are tactical and strategic gaps, a shift in training is required to prepare our forces for this type of conflict. A Blue defeat in a war game isn’t an embarrassment; it’s a chance to lean forward and become a well-rounded fighting force able to meet any challenge. The chances of a major conventional conflict with another nation are extremely rare. Unconventional land and sea combat has been the norm for decades, and the U.S. needs more gaming and training in order to cope with the nonlinear threat. Brett Davis is a U.S. Navy Surface Warfare Officer. He also runs the blog ClearedHot and occasionally navigates Twitter. His opinions are his own and do not represent the views of the U.S. Navy or Department of Defense.